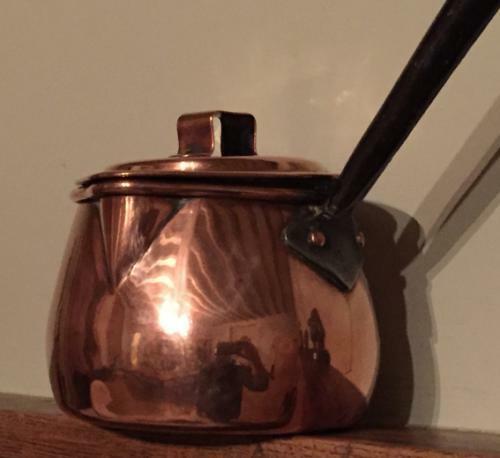 Fine 19th Century copper saucepan complete with lid. Small size being only 5 inches across at the base (1 Quart). Exceptional condition being virtually dent free.